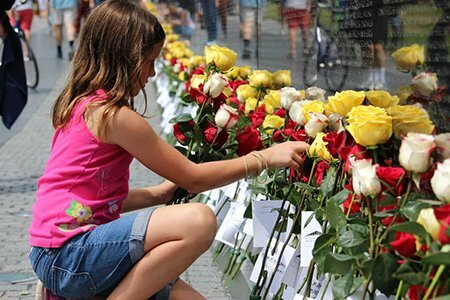 In an effort to further preserve the legacy of those who sacrificed all in Vietnam, VVMF is committed to finding a photo to go with each of the more than 58,000 names on The Wall. 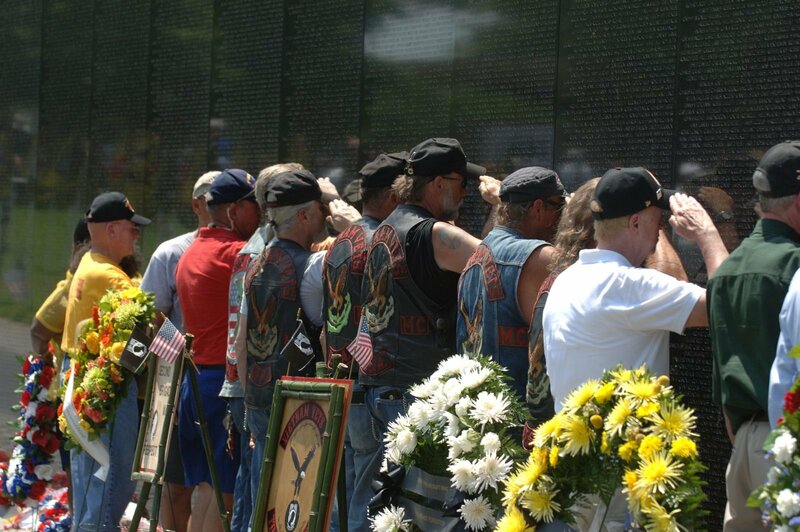 The Wall of Faces allows family and friends to share memories, post pictures and connect with each other. Collected pictures can be found on The Wall of Faces. Having a reunion? Use our custom flyer to help spread the word. 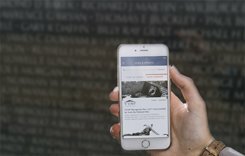 If you have a picture of a loved one or fellow veteran whose name is on The Wall, please help VVMF honor these individuals by putting a face with a name. 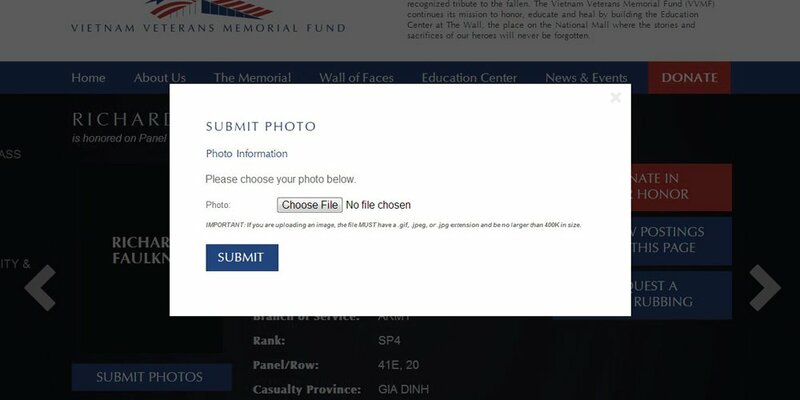 Regardless of whether or not VVMF has a photo of the individual already, we encourage you to submit it anyway. We are trying to collect as many photos of each individual as possible. You may submit your photograph online or mail. If you have a digital copy of the photograph, you can upload the photograph right onto their profile page. 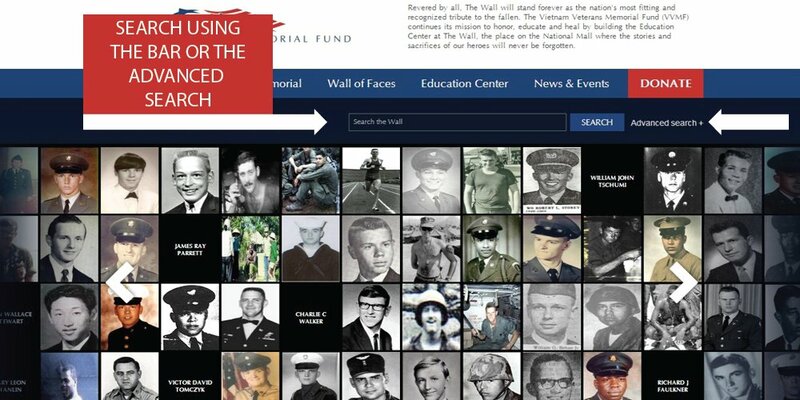 Go to www.vvmf.org/wall-of-faces and search for their name in either the "Search The Wall" bar or by using the "Advanced Search". Once on on their page, simply click "Submit Photos". Important information: Please make sure your photo is right-side up. If you are uploading an image, the file MUST have a .gif, .jpeg, or .jpg extension. Please try to keep files under 5 MB in size. File names can’t include any symbols or only be letters and numbers. Make a copy of your photo. 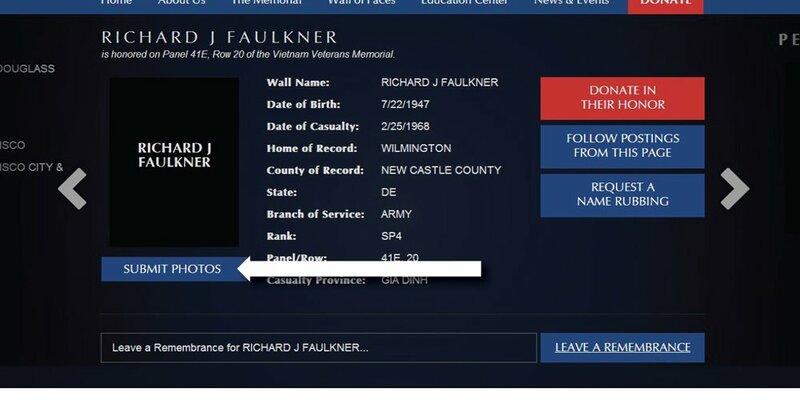 VVMF does not want original photos and cannot be responsible for returning photos to donors. When having the photo copied, ask the photo professional to make it the highest quality possible, use a glossy finish and reproduce the photo at an 8 x 10 size, if possible. Fill out the photo submission form and package it up for mailing with the copy of the photo. When mailing, please indicate on the front of the envelope that a photo is enclosed. 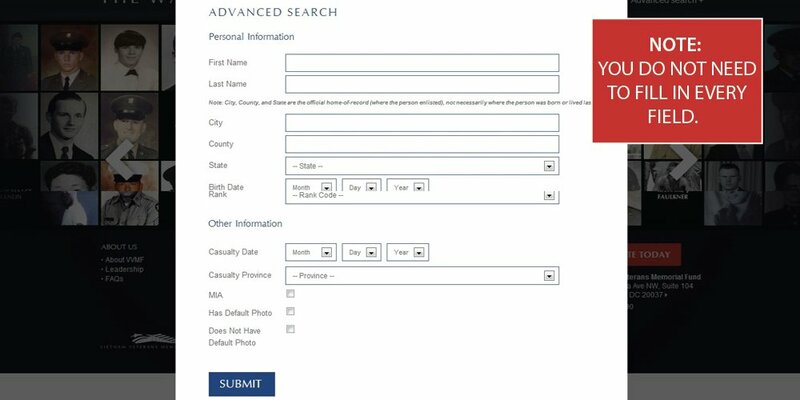 If you are having trouble leaving a remembrance on the Wall of Faces or have questions regarding photo submissions and remembrances, please see our frequently asked questions here. 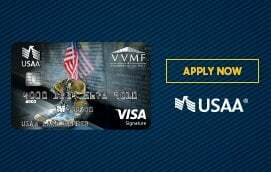 For more information about how to add a photograph to the collection, please contact VVMF at (202) 393-0090 or via email at vvmf@vvmf.org.